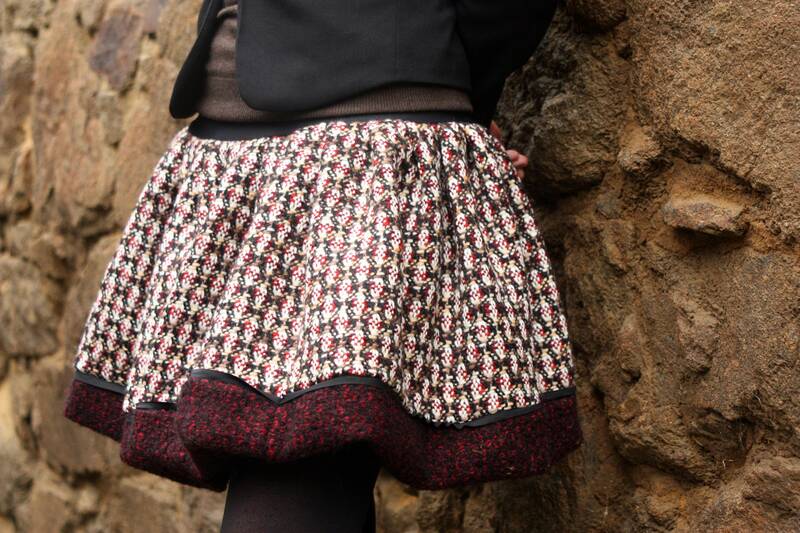 This ball skirt is made of 100% wool Tweed, the bottom is woolen black and red. 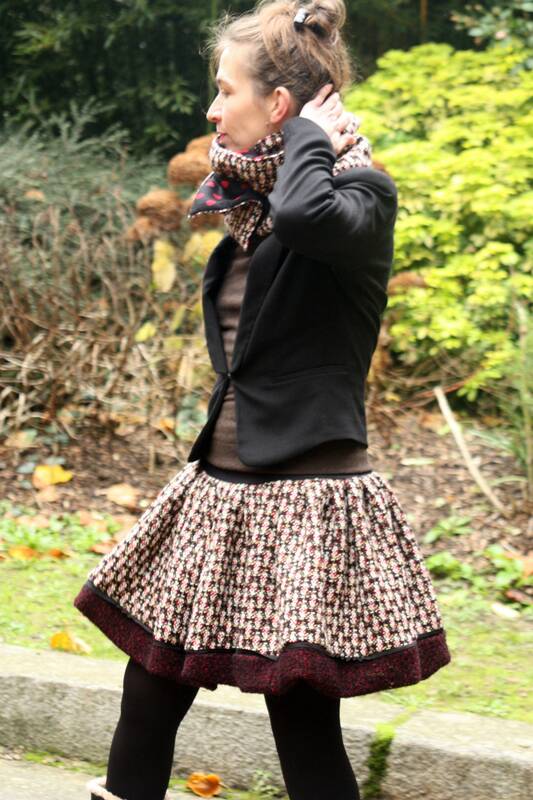 The skirt is Puffy, volume remains in shape with a thick wool fabric, the skirt is fully lined. 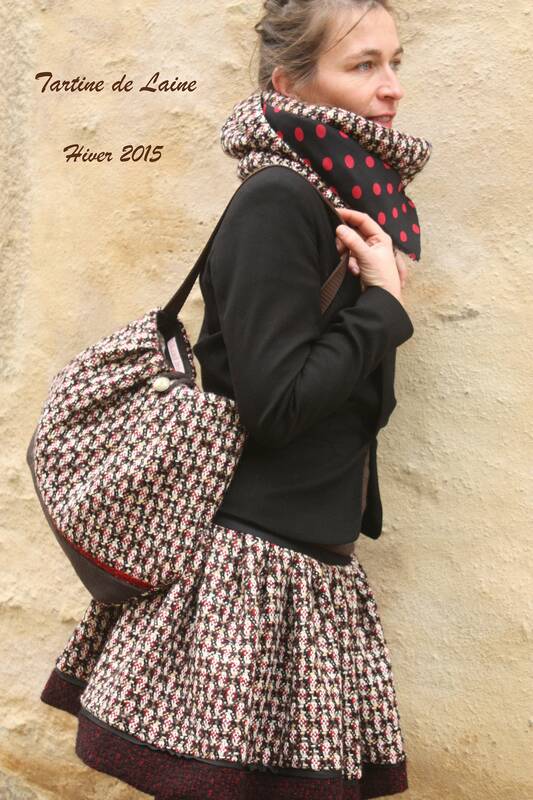 Hand wash or machine on wool cycle, cold, delicate and gentle on the back.